Well, they are in the ground now so it is up to mother nature. 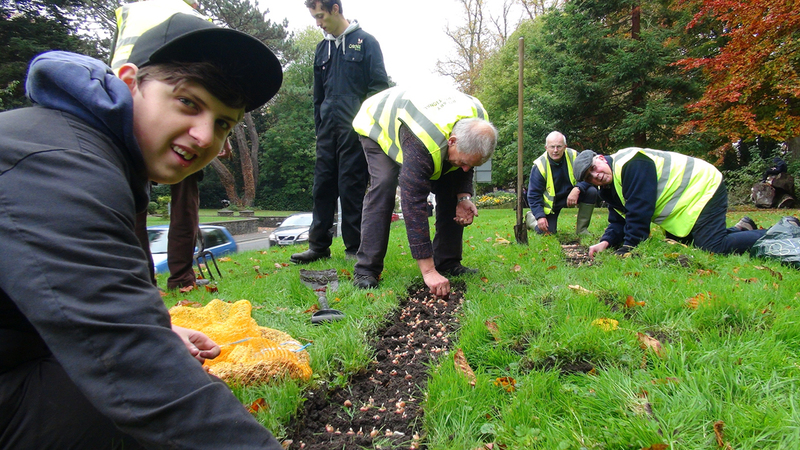 Yes, we planted approx 5000 purple crocus bulbs today with the help of pupils from Critchill school and Frome town ranger Mark Branson. 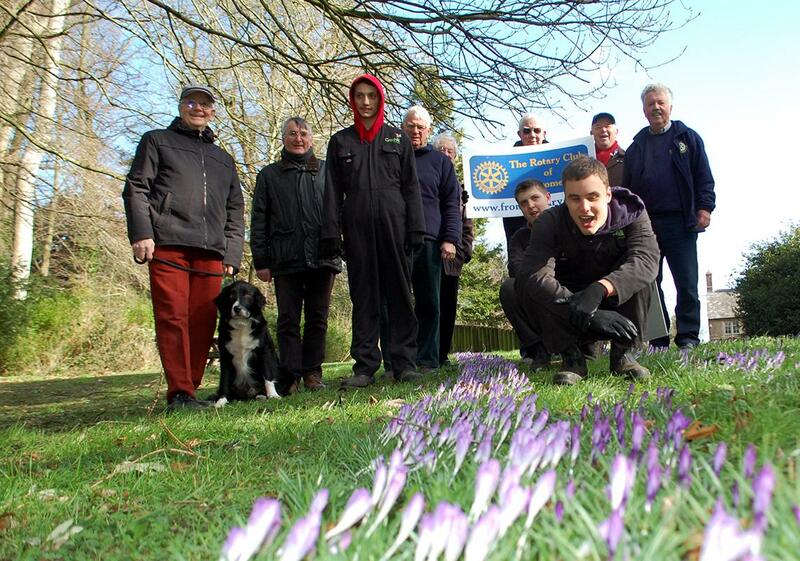 North parade and river walk were the sites chosen so that in the spring we should all see a purple carpet which will remind us about Rotary and its aim to eradicate Polio from our planet. Sadly there is a whole generation now that has little or no idea how terrible the disease is. As they say now, “Google it” to see how bad it was here and still is in some countries. Thankfully the campaign has nearly done a great job. In conjunction with Bill Gates from Microsoft Rotary has been plugging away all over the world with volunteer help and government involvement where needed for the past 30 years or so. The Rotary club of Frome would like to thank Frome Town council and Critchill school for their help in planting the bulbs and would ask everyone to watch out in the spring and remember our “Purple for Polio” campaign. 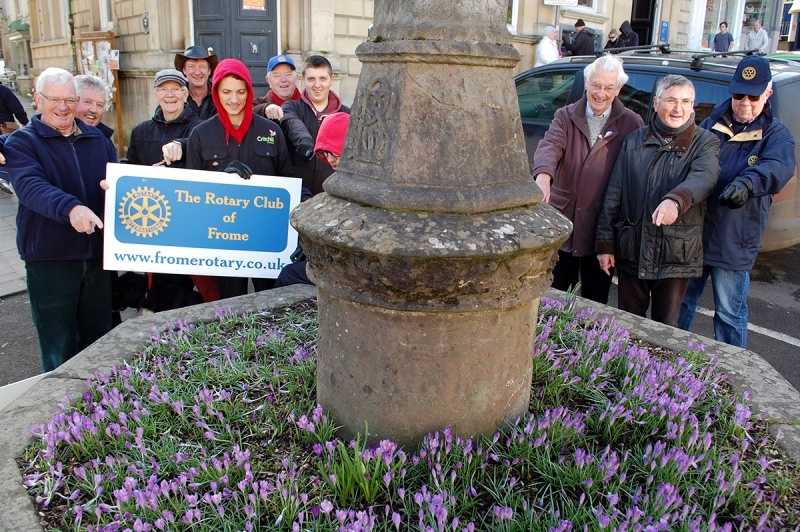 Purple crocuses blooming in Frome have a special meaning. They remind passers-by of the 25-year world-wide campaign, led by Rotary, to eliminate deadly polio. 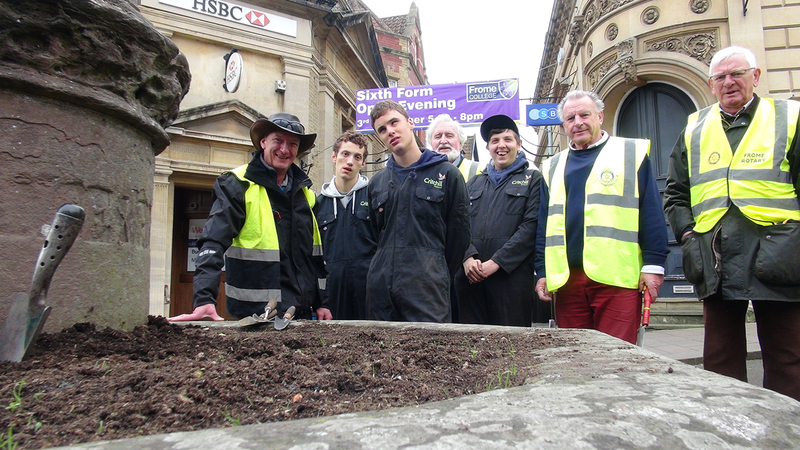 Planted by members of the Frome club, helped once again by Critchell School students, all returned (on Thurday, March 2) to admire the results. 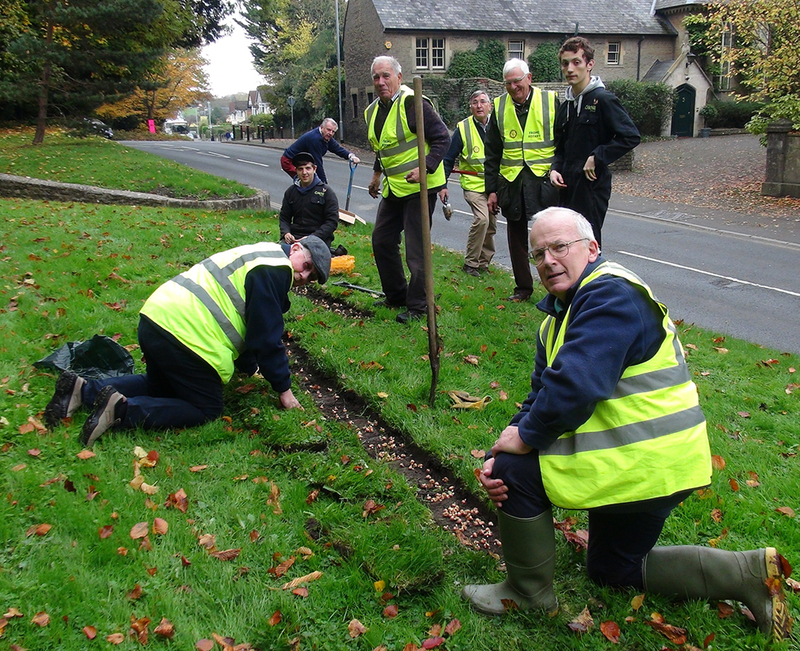 Rotarians in the town have been actively involved since the international campaign started. Money they raised has helped to pay for the immunisation programmes in affected countries. Two Frome Rotarians have just returned from hands-on helping repeat immunisations of children in India. When the “End Polio” campaign started thousands of children across the world were crippled every year. Now it is just single figures, in two countries. 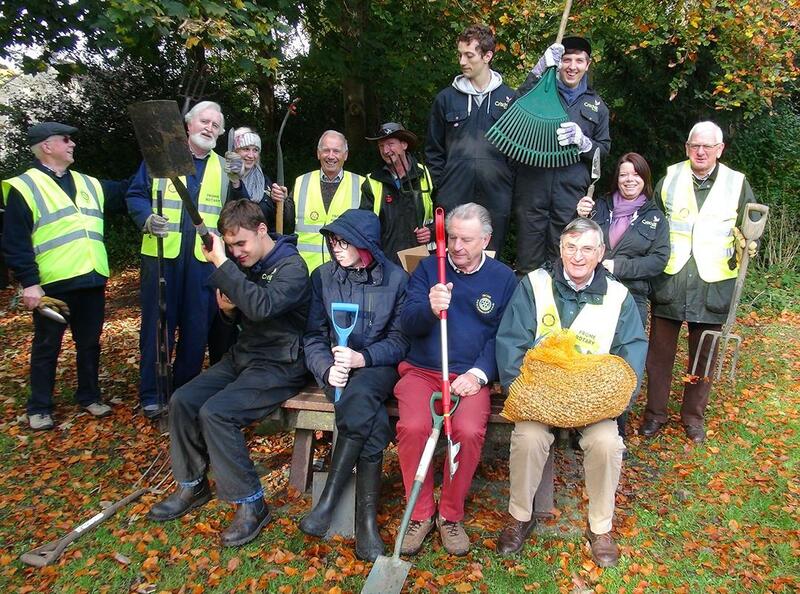 Claire and Naomi led the Critchell planters; Rotary president Gerry Atkinson, and international committee chairman, Chris Good, were among the Rotarians who helped plant the thousands of crocus bulbs. Displays are around the Boyle Cross, in the Market Place, the grass bank at North Parade and on the riverside. 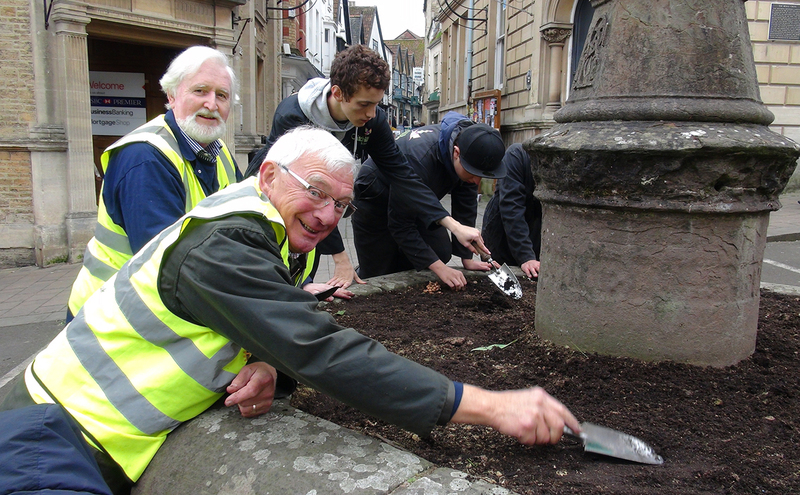 Town Ranger, Mark Branston, liaised to make it possible to tell the message.